From the hypnotic dance of colour-changing jellyfish to an up close and personal view of sea turtles and sharks swimming above, Ripley’s Aquarium of Canada has been thrilling guests from around the world since splashing onto Toronto’s tourism scene in October 2013. This week, Canada’s largest indoor aquarium will mark an important milestone as it prepares to welcome its 10-millionth guest. Ripley’s Aquarium of Canada has become an integral part of Toronto’s revitalized south core district, helping to drive traffic to the area along Bremner Blvd. 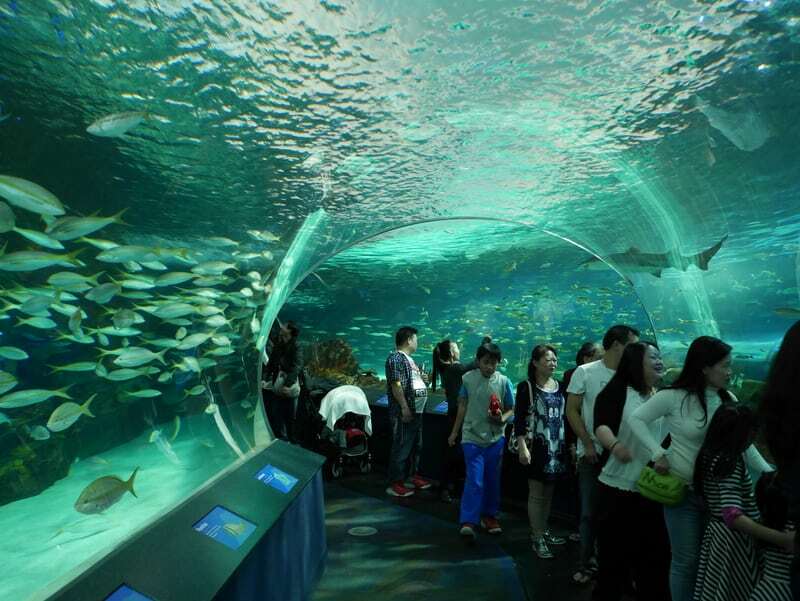 In addition to its own programming and education efforts, the aquarium has also partnered with local attractions and businesses to further enhance the guest experience, including the joint Sea the Sky program with the CN Tower, as well as the Toronto CityPASS program. “We always wanted to build an aquarium in downtown Toronto and the success of the Ripley’s Aquarium has been phenomenal,” says Peter Doyle, Ripley’s Aquarium of Canada general manager. Based on projected attendance, the aquarium will admit the 10 millionth guest on Aug. 16th between 10 and 11 a.m.
To celebrate, Ripley’s Aquarium of Canada will award the entrant with a one-of-a-kind VIP Sleepover Experience which includes: a private sleepover in Dangerous Lagoon for up to 12 guests; a behind the scenes tour; dinner at 360 at the CN Tower; crafts and activities throughout the evening; souvenir photo; gift bags, snacks and beverages; a personal dive show; aquatic-themed decor, robes and pyjamas; breakfast in bed and a one-night stay at Delta Hotel Toronto. Visit ripleyaquariums.com/canada for more information.